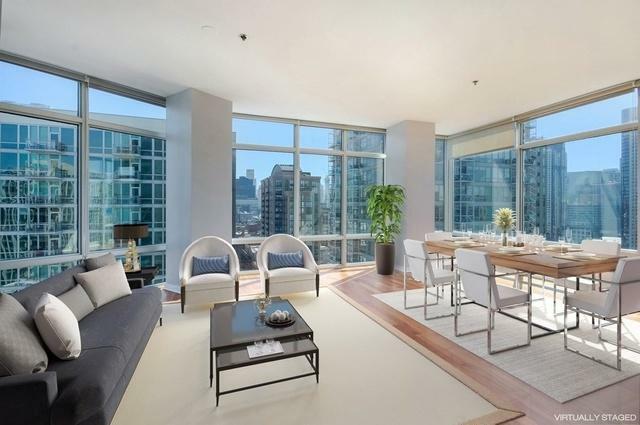 Dramatic City and River views from every room in this highly sought-after "01" tier. 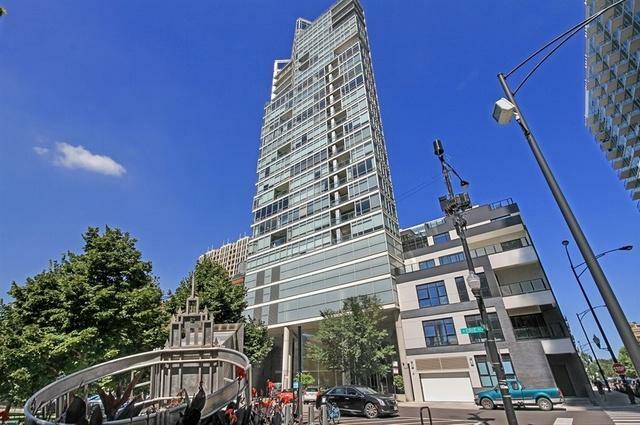 The 2 BR + den, 2 Bath residence offers floor-to-ceiling windows, hardwood Floors, marble bath, Euro bulthaup cabinets, and private balcony overlooking park & river. 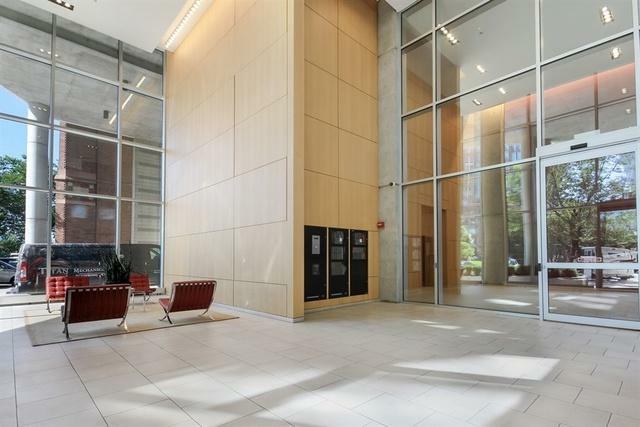 Award-winning building by Lucien Lagrange features 24 hour door staff, exercise facility, storage, and bike room. Across from the 3-acre Erie Park, Playground, River Walk and Dog Park. Fantastic location nestled in quiet tucked away neighborhood steps to East Bank, restaurants, & nightlife. 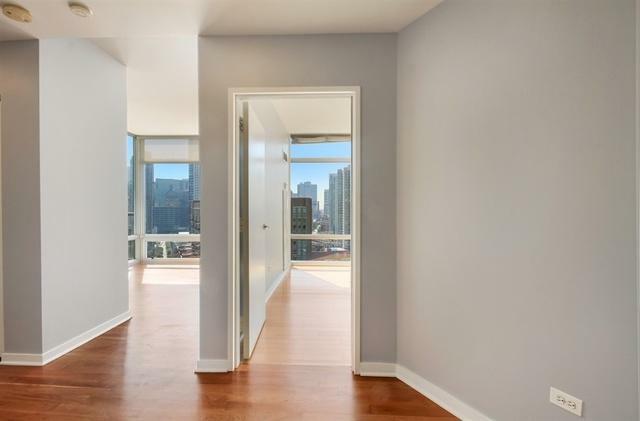 Deeded, heated parking space additional $35k.